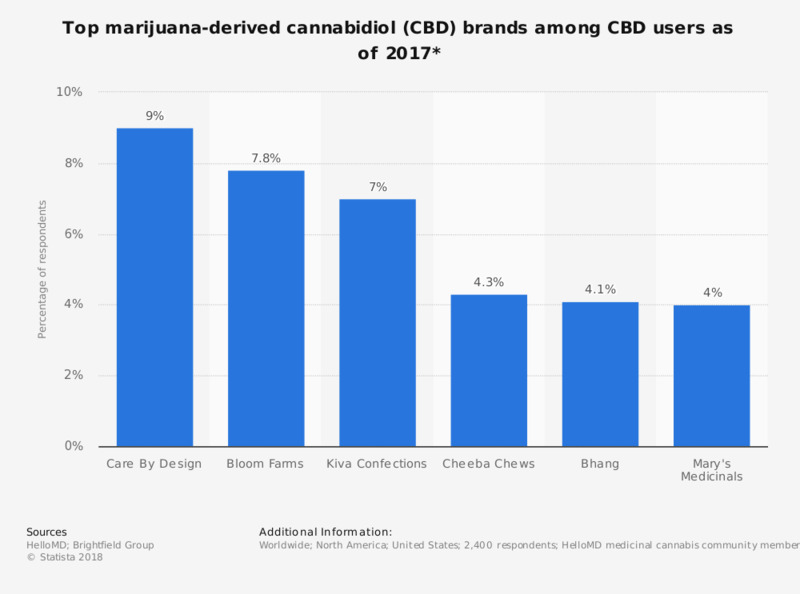 This statistic shows the top marijuana-derived cannabidiol (CBD) brands according to users in the U.S. and abroad, as of 2017. As of that year, about 9 percent of the respondents agreed that Care By Design was the top marijuana-derived CBD brand. * Data from medicinal cannabis community members from the United States (primarily California) and abroad.